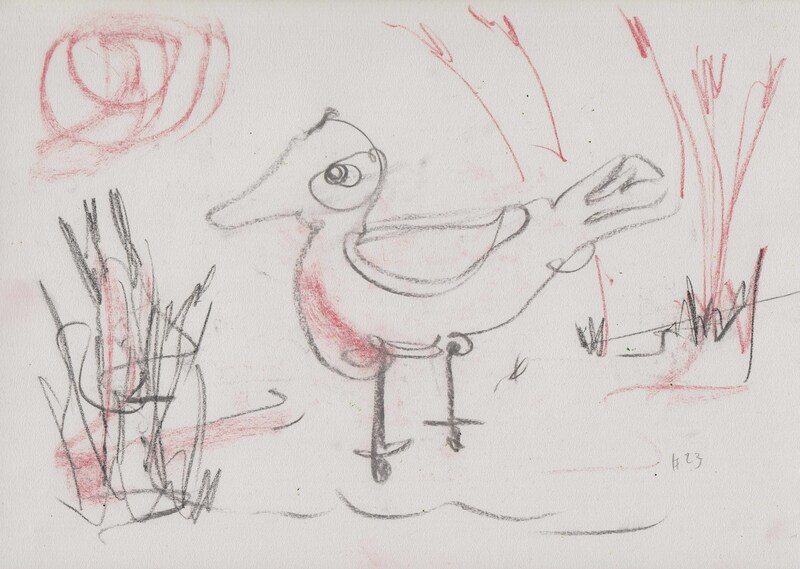 Birds are a recurring theme in my work. Apart from the drawings (many!) most are mixed media pieces. 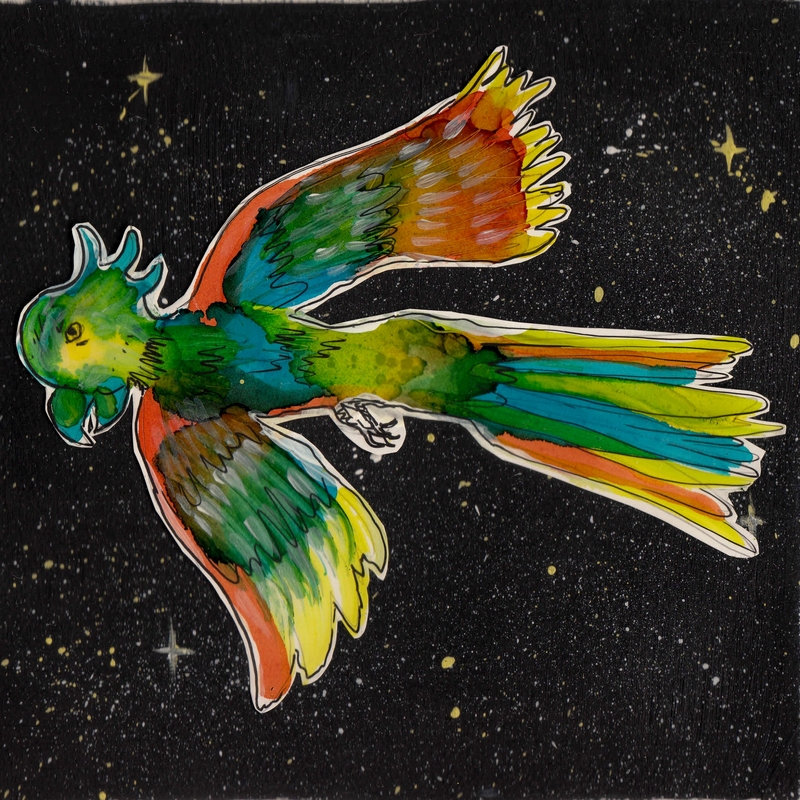 Magic parrot illustration. Acrylic ink, marker and acrylic paint on watercolor paper. Appr. 25 by 25 cm. The Magic Parrot. An illustration inspired by the fairy tale ‘The magic horse’. Making this drawing was an extra assignment in last year’s Year of the Fairy Tale. Carla Sonheim offered us all the chance to enter an illustration in an online publication. A central character in the fairy tale the Magic Horse is a horse (of course). In this joint project that grew from this lesson, we all made an illustration of a magic animal or object. All of them were published as “Fairyland zine number 2“. You will find mine on page 61. Bird in marshes #1. Soft pencil and conté crayon on paper. Size 21 by 29,7 cm. A bird from a series. Trying out drawing in all kinds of media, I stumbled upon an image I drew again and again. Here I used a soft pencil and a red conté crayon. 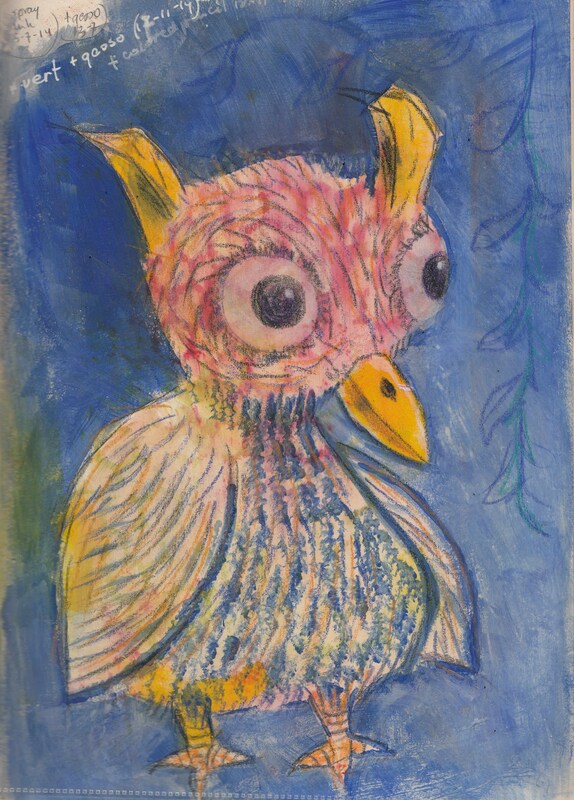 Lil Owl #1 _in 2014 journal. Mixed media in A4-sized journal. This owl (Lil owl #1) grew gradually in my Life Book 2014 journal. Media I used are: spray inks, acrylic paint, Neocolor II crayons, colored pencils and paint markers. Spring bird #1. Watercolor and acrylic ink on watercolor paper (140lb). 20 x 20 cm. I like to experiment a little once in a while. 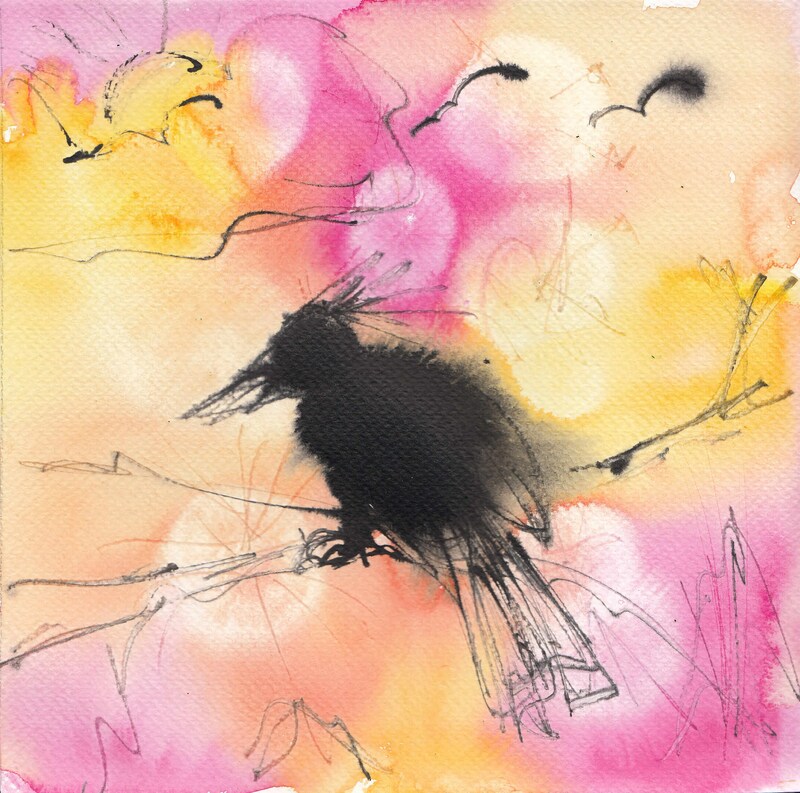 This bird image grew out of my recent experiments with vibrant watercolor and acrylic inks.